Antonio Lanzavecchia was born in 1951 in Italy and studied, as a fellow of the Almo Collegio Borromeo, at the University of Pavia where he obtained a medical degree and specialised in paediatrics and infectious diseases. He started research in cellular immunology at the University of Genova and in 1983 moved to the Basel Institute for Immunology where he worked until 2000, when he became the founding director of the Institute for Research in Biomedicine in Bellinzona, Switzerland. He was professor of Immunology at the Universities of Genova and Siena and at the Swiss Federal Institute of Technology, ETH Zürich. Antonio Lanzavecchia received the EMBO Gold Medal, the Cloetta Prize, the Robert Koch Prize, and the Sanofi-Institut Pasteur Award. He is member of the EMBO, of the Swiss Academy of Medical Sciences and a Foreign Associate of the US National Academy of Sciences. Antibodies have been used for more than a century to protect from toxins and infectious diseases. However, in spite of their great potential, their use is still limited, one reason being that potent neutralizing antibodies have been difficult to isolate. Antonio Lanzavecchia’s laboratory investigates the mechanisms of antibody-mediated resistance to infectious diseases. They have developed new methods to screen human memory B cells or plasma cells and isolate antibodies with potent and broad neutralising activity against different viruses, ranging from common respiratory viruses such as influenza and RSV to emerging viruses such as SARS, MERS, Ebola and Zika. 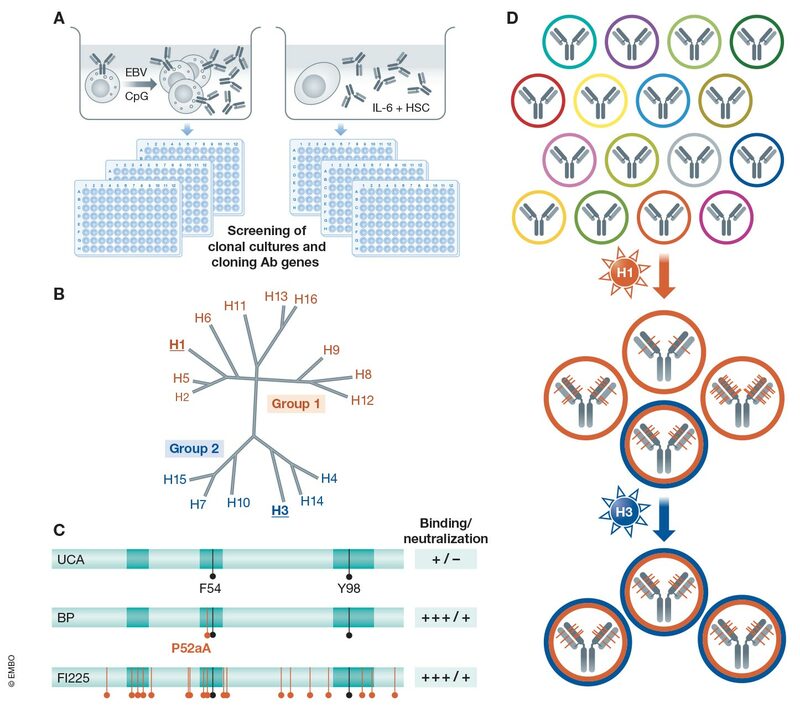 These antibodies are candidates for prophylaxis and treatment of infectious diseases and are used as tools to identify optimal vaccine components in a process of antibody-guided vaccine design. These studies also led to the discovery of a new type of antibodies that are frequently produced by malaria-infected individuals. The new antibodies contain an extra domain that is derived from a cellular protein that is targeted by the parasite to evade the immune response. 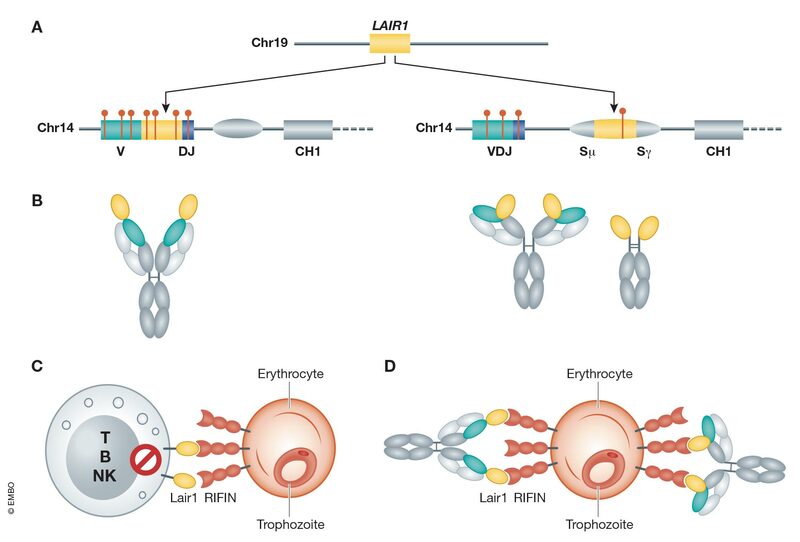 Different modalities of insertion lead to “naturally engineered antibodies”. These findings shed light on the complex interaction between the malaria parasite and the immune system and suggest that similar antibodies might be spontaneously produced in response to other pathogens. Antonio Lanzavecchia’s work illustrates how basic immunological research has the potential to generate new antibody therapies and vaccines and can lead to unexpected discoveries that reveal the ingenuity of Nature.